The score for S-World UCS is not simply how much money one accumulates, this is of course important, but as important is a companies or individuals EEE and QE Scores. The EEE (Ecological Experience Economy) score takes into account a number of factors: Ecology, Research, Philanthropy, Sports Media & PR, Systems Knowledge, Consumer Rankings, Suppliers EEE Scores & Other Items. The QE (Quantum Economic) score is a company’s or individuals “Profit vs. Revenue Ratio” percentage. The Window Factories 30.8% score is simple; The Window Factory received $7,938,477 in revenue and generated $2,441,125 in profits. The profit is divided by the revenue equaling 30.8%. At 21.6%, the second largest contribution is made via their material suppliers, in this case we have three main suppliers of Aluminum, Glass and Handles. Within the set up of each resort network cube (8 mother networks close to each other), all businesses types within the construction industry including material suppliers will be recruited. These new business will be working the exact same suppliers butterfly model, supplying their own individual components. As such, when The Window Factory makes an order from a company in the network that supplies glass, then, this company will have a similar QE Score. This being so and lowering the average QE score a little to 54% of the $3,175 391 spent on supplies 54% will be recorded as network profit, to one company or another. So we divide the $3,175 391 spent on supplies by the estimated average 54% QE Score of the suppliers, leaving $1,714,711 in profits for the network, 21.6% of overall revenue taken. At this point we add the Window Companies $2,441,125 in profits which created the initial QE Score of 30.8% to the Window Factories material suppliers, adding a further 21.6%, where-after via the same principle, we add the smaller additions from media, staff and miscellaneous spending, increasing network profit by 6.5% adding up to the Window Factories overall QE score of 58.9%. Initially the QE Score was considered as a way to keep track and optimize network profit within renewable energy projects. For instance, if the network was to invest build a giant dam that cost $2 Billion to build, how much would network companies make in profits in the process of building it? However, on conceptualization it was adapted to look at tenders, collectively, a typical resort network may spend $2.5 Billion on various construction activities. If within the resort network, all companies have a collective QE Score of 54%, then, on average, from the initial investment money, the various network construction companies and their suppliers will have generated $1.35 billion in profit. This profit alone, is enough to cover the profit required for the first three years of all Baby POP and network expenses: $200 million in year one, $400 in year two and $600 million in year three. Leaving a further seven business sectors of equal size to generate additional profit, or just get settled in. 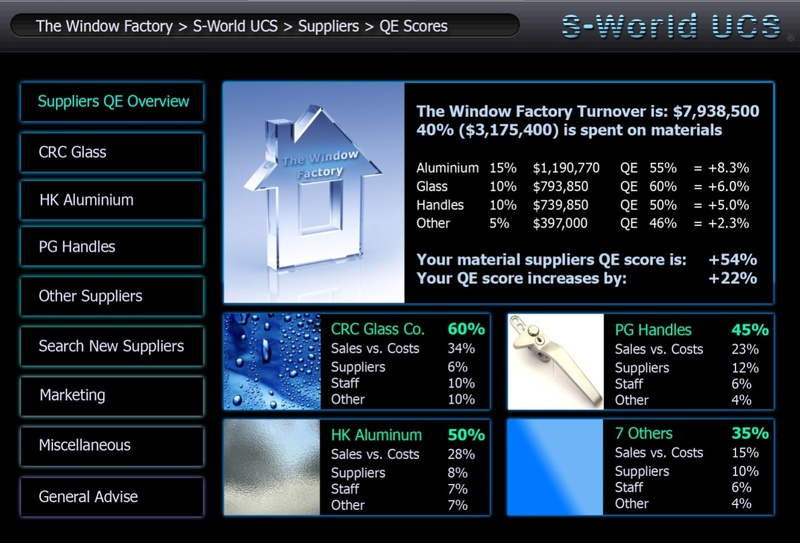 Below we see how S-World may present various statistics to users, in this particular window, “Suppliers QE Overview” we are looking at the suppliers QE scores, which range from 46% to 60%, obviously in terms of improving the window factories overall QE Score, changing to suppliers with higher scores raises the window factories total score, however QE scores are just one element, price, consumer ratings and EEE scores are all important. In 2018 the Window Company is forecast to spend $7,938,500, 10% of which is on staff, in the example above we see that of the 10% of revenue spent on staff 2.8% is turned into profit for various network companies. Staff spending is broken down into 4 sectors. Network Spending: Money spent on goods services and shelter directly from network companies. Tracked Other: Money spent on goods, services or shelter directly from other companies, in such a way as it can be tracked, for instance goods purchased via a network affiliated bank card, or a mortgage paid via a network affiliated bank. Tax: Is all taxes paid. Black Hole: Is cash spending, or spending via financial institutions not affiliated to the network. Please Note: Staff members “QE” and “Black Hole” scores directly affect their bonuses. Please Note: In 2018, the Window Factory financial forecast predicts that profit share would be equal to basic salaries. Profit share and bonuses are always paid via Network Credits; this being so, all staff will have spent a degree of their income on network goods, services or shelter. Danielle Myburg: Danielle has the highest QE Score at 38%, Danielle spent 66% of her income on network goods, services and shelter. Each purchase Danielle makes is multiplied by the QE score of the supplier she purchased from, be it the house she lives in or her weekly shopping. To gain her 38% QE score, on average the companies she transacted with would have had a 58% QE score. Danielle spent 66% x 58% = 38%. Note, the higher the QE score of the business Danielle purchases from, the higher her score will be. In this example we are highlighting Danielle as the “poster girl” for QE scores; she really cares about it and is proud of her high score, either as it awards her a higher bonus, it impresses the boss and indeed the system, or she is simply in tune with the overall ecological, economic and philanthropic goals, most likely a combination. With a “Tracked Other” score of just 7% and no “Black Hole” score, it is expected that Danielle lives within a resort network, so housing and most daily expenses generate profit for network companies. Asanda Gzamza: By the looks of things Asanda also lives within the resort network, or at the least lives in a house or apartment built by the network in the greater local community. Asanda is not as clinical as Danielle with his spending, but still has a respectable QE Score. Juliette Bryant: Juliette lives outside of a resort and likes where she is living; there are no “outside” developments in her town, albeit the system records Juliette’s interest to purchase a house in her local town, if there is enough interest, a development will be built, from a handful of houses to a Golf Estate. Adrian Web: Adrian spends little of his spare money on network purchases and is not using a network bank hence a QE score of 18% and a Black Hole rating of 46%, this is not good. The low network spending decreases profit for all, and in so doing slows down the ecological, medical and philanthropic initiatives, alongside decreasing the profit for the Window Factory, which in turn decreases the profit share for Adrian and his colleagues. The high black hole score limits the PQS’s ability to count and so predict/enact/control future growth or decline, alongside which, money could be falling into the wrong hands. The spreadsheet below illustrates the effect QE and Black Hole statics has on profit share allocations, this however is the starting point, where-after other factors, such as EEE scores and general performance contribute. In this example all four employees have the same $70,000 basic salary and the bonuses pot is $280,000. From here the bonus is multiplied by each person’s “Black Hole” score, which is then recorded in “Bonus Deduction” This figure, is deducted from staff salaries and donated to a “Special Project” of the staff members choosing. Lastly tax is calculated before arriving at the take home figure. As we can see, having a low QE score and a high Black Hole score dramatically affects bonuses, Adrian receiving a $16,000 bonus in comparison to Danielle who receives $101,000, indeed Danielle has benefited from Adrian’s losses. At the same time $30,777 has been raised for “Special Projects” Ecological or Philanthropic projects which will be detailed shortly. Fortunately for Adrian QE scoring only affects 50% of the bonus pot, EEE scores directly address the other 50% before performance statistics then affect the sub total. Retrospective note: The exact process for defining EEE Scores and awarding EEE Dollars ($e) is a fluid concept, to be defined and redefined, the following extract is the first ever consideration, within which certain parameters and priorities may be altered when creating the working system. To obtain a company’s EEE score the collective scores of the company and its staff are divided by the company’s profit, which in the case of The Window Factory gives them an EEE score of 90%, in the future other parameters may be added, but for creating an immediate stating point, we use $e ÷ profit. In general 90% is not a good score, and so certain tenders will not be available for the Window Factory. When we consider one tender, as outlined in the suppliers butterfly created half of the $129 million profit collected by The Window Factory from 2014 to 2036, missing out on any tender due to a low EEE score costs the company and its staff a vast amount of money, as such, all will be incentivized, at least financially to improve their EEE score. In this example roughly 50% of the Window Factory’s e$ are earned via their Give Half Back network and special projects contributions, (for more detail, see “Baby POP” American Butterfly 2 & 3) including investment into renewable energy, staffing the SURH (Super University Resort Hospitals) and staffing the university and operation centers. Before delving in, a couple of points on the spreadsheet should be clarified, EEEP is the percentage contribution from an individual item/row to the total company EEE Score, below we see in row “a” with an EEEP of 13.7% as such 13.7% of the Window Factories collective EEE score of 90% is earned by the building of solar arrays or other renewable energy devices. Another important factor is the M column, this is the multiplier, to encourage and reward mandatory and additional investments into renewable energy, for every actual dollar spent 4 e$ are rewarded. Further down we see to assist the sending of gifts by businesses, each dollar spent returns 3 e$, where after Research and Philanthropic spending has a multiplier of 2. Ecological: In the ecological category above rows “a” and “b” are specific to the “Give Half Back” investments into solar arrays and electric cars. Row’s “c” and “d” are the amount spent on power and fuel which act as a negative. Lastly row “e” represents various ecological endeavors performed out of office hours by the business owner, staff or their families, such as recycling. Gifts: The gifts category is simply the amount of business to client gifts sent or received. Research and Development: In the research category, rows “h” and “I” are specific to funding S-World Operations and the Research & Development department at the University. “j” The “Joint Taskforce” indicates that a collection of network companies have joined together to invest in a specific type of research. Row “k” represents staff family and friends rendering parts of the local area in S-World, which has contributed nearly 10% of The Window Factories score. NOTE: If instead of The Window Factory a dedicated Pharmaceutical, Software Development or Research Company were to be measured in this category, they would have a high score based on their achievements. Philanthropy: In the philanthropy category rows “l” and “m” are specific to SURH’s investment (Medicare & Medicaid alternatives), “n” is a simple charity donation and “o” represents volunteering work performed by the owner, staff or their families. Sports Media & PR: Row “p” signifies the Give Half Back funding to the university Sports, Media and PR Department. Row’s “q” & “r” present opportunities for companies to acquire a significant amount of e$ by encouraging the company and staff to assist the operation centre media department in the making of adverts, productions, local network documentaries, or reality TV shows, be it in front or behind the camera. Equally the participation in network sports leagues is rewarded. Retrospective Note: For various reasons investment into sports and media has since been substantially increased see Angel POP within The Network on a String. Consumer Ratings (The per human results search engine): In Consumer Ratings the average rating achieved is multiplied by the amount of goods sold, then multiplied by 0.1%. This does not leave a particularly significant figure, however as consumer rating are available for the public to see, motivation to excel in this department is already encouraged. Systems Knowledge: like “Sports Media & PR” systems knowledge is another “without cost” way to gain e$. In row ”t” we see the amount of hours all staff have spent using any S-World systems at the office, not specifically the hours logged on but a combination of hours vs. key stokes vs. moving in a direction that makes sense. Achievements are the completion of certain tasks, such as creating partnerships or adding something to the system that is to the benefit of the network. Exams are simply e$ rewarded for passing exams. 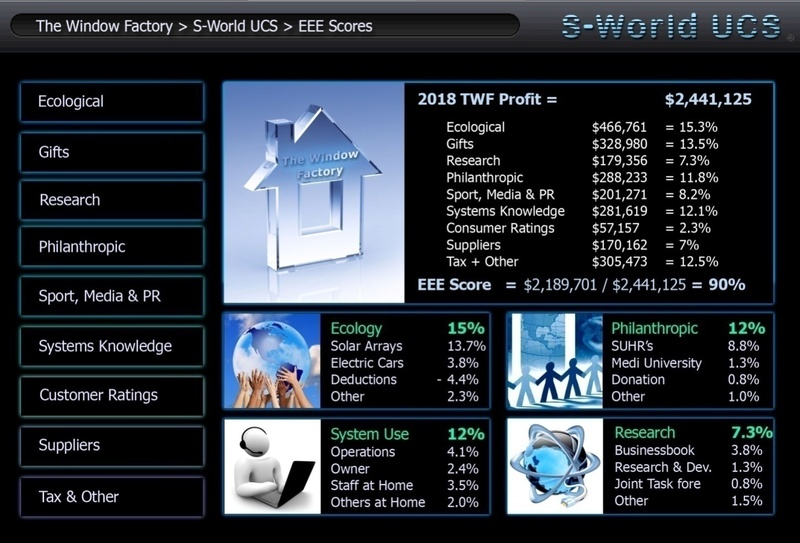 In row “v” staff working from home, generates the highest figures, here staff are encouraged to play the S-World UCS game/simulation version of The Window Factories real life business activities. Taking the virtual company to the next level and beyond, making partnerships, applying for tenders and expanding overseas, taking the company to new heights or on occasion new depths if ones strategy did not work out. Via S-World UCS one can make mistakes, take risks and try new things without costing the company a cent, and when something pays off, it can be brought to the attention of boss and company hierarchy as a strong consideration of the next real life step. In row “w” we see the “Others at Home”, this is a collection of either friends or unknown game players who have asked or been asked to play S-World UCS under The Window Factory” banner. In many cases this will be someone in the local area wishing to either work for a company within the local network, someone who wishes to apply to start their own company, or become someone who wishes to be a network agent. Add that to friends and family and Facebook friends, S-World VSN users and S-World.biz users and pretty quickly one can have a lot of people playing out future business possible parts, all contributing to the advisement of the decision makers. Retrospective note: to further increase simulation usage, alongside sports and media, substantial extra funding in terms of resort credits is made available to encourage usage in this sector, the basic principle being that whatever score one attains within the simulation will be rewarded with a pro rata percentage of network credits. Others: Finally the Tax and Other includes, Tax paid multiplied by 0.25 alongside “Give Half Back” University Staff and Building Budgets, alongside a collection of smaller inputs. Note in particular the relatively high score that paying tax gives; this is deliberate, rewarding the company for their contribution. As an economic solution, the system looks strike an balance between tax efficiency and network profitability, higher taxes may see a higher multiplier or 0.5, to motivate in such circumstances, especially if the country receiving the tax is enacting an extended infrastructure project using network companies construction companies. Total: In total the company made $2,44,125 in profits and $e 2,191,435 so generating a 89.9% EEE Score. UCS game play is exactly the same for the boss of a company, as the staff or general public simulation players, in creating innovative game play concepts for S-World UCS, a many concepts translated into the makeup of the actual network and how people will interact and conduct business. At this point the simulation and the way we wish real life business within the network to be conducted become one in the same. In the map above we identify the network where the Window Factory are located, a real plot available for purchase for $100,000,000, ten miles from Orlando on a large lake, within an eleven square mile plot. Once established the Widow Factory will be able to bid for tenders in networks that do not have suppliers of Aluminum Windows. Within the graphic to our right we see that two networks need a supplier, of aluminum windows. To the right, a zoom into Fort Lauderdale shows a tender with a PQS (Predictive Quantum Software) estimated value of between $4.6 million and $6.9 million. In this scenario to acquire the tender, a cost was incurred equaling $e 1 million and 10% of actual profit, the concept of advantageous partnerships coming in exchange for $e does not affect the Window Factories EEE score, in 2018 the Window factory are forecast to generate $e 2,189,701, within that year if they wish to acquire the Fort Lauderdale tender, it will cost them $e1 million, leaving $e 1,189,701 to spend on other items, retaining their yearly total which becomes their EEE score. $e can also be applied to applications for tenders and partnerships, In the real world this process greatly increases the thought and preparation made in applications and sees only serious bids. Much like a Pay per Click add on GOOGLE, it does not mean the company is of any better quality that any other, it does however illustrate their serious intent to conduct business. If it is free to apply for a job, or to pitch for a contract then many will apply, if however, applications come with an $e cost, then it assists the employer or contract owner as they will know, the applicants interest has a value, not only saving time in going through many applications or CV’s, more importantly, by identifying someone who is willing to part with $e to be interviewed, one only sees, willing employees who have given the matter sue thought. Above we see the “choose partners page” offering information specific to creating a partnership. In this scenario, the Cape Coral network is looking for a supplier for all window types, as a result, the Window Factory is required to make partnerships with other window manufacturers in different sectors. The screen offers information on Florida network companies that produce frameless, wooden and classic windows alongside a company that specializes in shutters. This said, if staff or outside simulation players have already played this scenario within their own UCS game and made contact with various staffs from Sheer Windows, the cost may be negotiated lower, and the competition may be less. At the bottom of the screen to the right we see other network companies that one can make partnerships with, displaying first the initials of the company, followed by their location, in this case either Florida, Georgia, Alabama or the Bahamas. After which the QE (Quantum Economic) score is presented, followed by the companies EEE score, and finally its Consumer Ratings score. In general with both simulation players and business owners, the accumulation of $e is of benefit, as one can apply for and make more partnerships and attempt to gain more tenders as such, encouraging all who would use S-World UCS to assist the system to reach its ambitions and rewarding those that assist. An additional useful side effect is the ability to assist struggling companies, be they suppliers or retail or entertainment. For example, if within a resort network there is a particular restaurant that offers a good service, food and experience that is due to “sods law” underperforming, one can temporarily raise the restaurants EEE score, and assign additional e$ to anyone who eats there, if they offered a 4 multiplier, and were close to the business sector (which most would be) then increased lunch time trade will soon increase their profits. This is just one of many advantages of EEE Scores and e$. “POP” Expansion is detailed extensively within American Butterfly books two and three, initially the process called “Baby POP”, sees mother network profits invested in such a way as to eventually creating a further 15 resort networks within the mother networks local area (+/- 6000 sq miles). Where after Angel POP sees investment into other areas. Below we see a global map that presents POP franchise investment opportunities within the same industry as the Window Factory is skilled. However, in the scenario, below we see that due to the Window Factory having an EEE score under 100% it is precluded from applying to invest its POP funds into creating an additional US operation. Where-after it is advised to invest in a network that gives bonus EEE points. To the right, at the top we see a screenshot of zooming into the African Continent, which in terms of gaining additional EEE points is a ripe with opportunities. The Blue markers indicate mainly economic opportunities, the red award additional EEE points due to philanthropic gains to the local population, whereas the green markers indicate networks are planned within the ecological Special Project “African Rain” a vast solar powered desalinization project aimed at turning vast chunks of the Sahara desert back to its pre “influenced by mankind” fertile state. On the bottom right we zoom into the Network City of Al Sabkar in Libya, presented as it was the first Network City, considered before New Sparta and long before the USA. Alongside general information about the development, four sets of statistics are presented detailing the construction timeline, costs, returns and the increase in EEE points attained. In this case, by electing to invest in the Al Sabkar network the Window Factories EEE score would rise by 12% so achieving a plus 100% EEE score, thus enabling the window factory to apply for lucrative tenders within the USA. Further to this the Al Sabkar network itself is forecast to offer hansom returns. Now we see the Al Sabkah network via S-World VSN, and have the opportunity to explore the entire city as it will look when constructed. Bottom right we see an option to purchase a selection of beachfront properties, that will be owned by The Window Factory. Recruiting aside, the UCS game play is based around the tremendous wealth that can be accumulated by the collective network companies and the creation of “Special Projects”. Not only are “Special Projects” noble endeavors that will either assist the human race or protect it, “Special Projects” are a significant branding exercise for whoever undertakes them. Special Projects in whatever form install pride and give unity to those that undertake them, assisting to unite the fractious global population to a common cause or indeed causes. 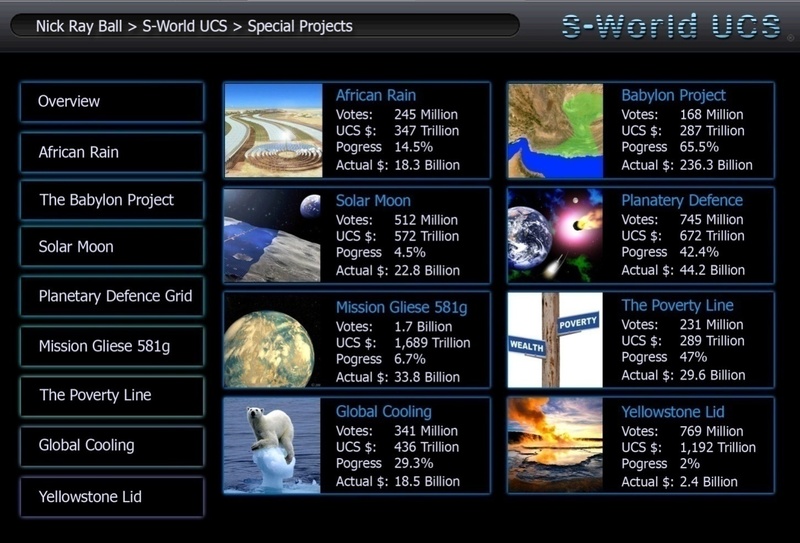 To our right we see the entry page to the S-World UCS “Special Projects” page, with eight projects identified. African Rain: the ambition to return the Sahara desert to it pre-Roman state of fertility via solar powered desalinization initiatives. (1b.) The Babylon Project: looks to follow a similar root across the Pakistan, Afghanistan, and Iranian borders, and further invest in infrastructure and the creation of cities schools and hospitals. This project is in exchange for nuclear disarmament. Solar Moon: looks at generating solar power from the moon and sending it via microwaves to earth, which if facilitated (infrastructure and transport provided) can be 30 times cheaper than building solar arrays on earth. Planetary Defense: aims to protect the world from asteroid collisions. Mission Gliese: Given enough capital, it is possible to reach the nearest habitable planet “Gliese 581g.” Problems with artificial gravity aside, if one had near limitless money, we have the engineering skills to build a ship that could house 1000 nuclear engines an ark and drilling equipment to build underground cities, incase after arriving there is no atmosphere. If the ship was suitably armored against asteroid hits, at a “guess” in a vacuum with no resistance, getting ever faster it could hit 50% of light speed within a few years. As such, given 20 years to make it, it’s possible I and many others could get there within or lifetimes. This “Special Project” becomes the flagship unity branding excursive, and is this project that gave “S-World Universal Colonization Sim” its name. The Poverty Line: seeks to bring all of earth’s citizens above the poverty line, or to be specific all citizens within countries that have adopted adequate measures and teachings to stop population growth above the poverty line. The Yellowstone Lid: Seeks to dig a gigantic trench around and a sequence of giant containment structures over the Yellowstone Super Volcano, which is due to erupt soon, indeed it’s late. If the Volcano erupts it will be an “ELE” Extinction level event, this project may take 5000 year to complete, but is best started as soon as possible. Middle Earth: Other than protecting ourselves or colonizing space, the only way to ensure survival of society on our planet in the case of and ELE, is to build underground cities and eco zones under the Networks, these can at first act as 365 day a year tourist resorts, but over time become a genuine safe-haven in case of an ELE, it also presents a part solution to overpopulation. The technology used in this process will be useful in universal colonization. If one has heat from the core of a planet, one can make light, with light one can make oxygen, there is no reason why an underground series of networks on Mars could not flourish. Next to the pictures are 4 text fields. Progress: indicated the real life progression to stage one of the operations. Actual $: Indicates the real life total investment spent on each project, many projects such as Global Cooling and “The Poverty Lines” are automatically funded by the Give Half back “POP” process, others see funding from Angel POP. Do we need to read the language? Of course we don’t, that would be like saying there is no point in doing business with China if you don’t speak Chinese’s. 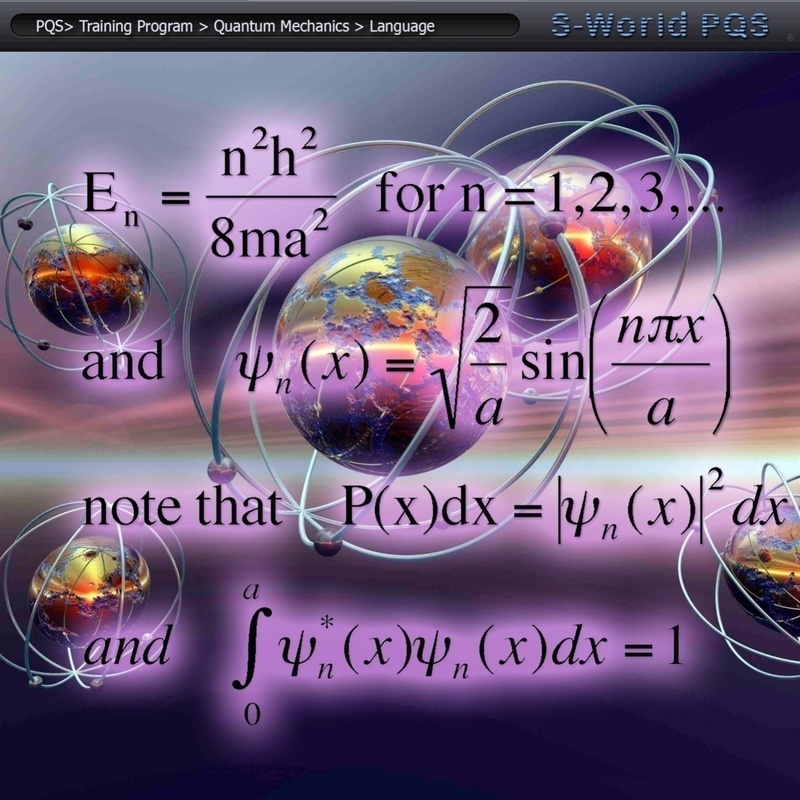 The first equation was specific to Quantum Mechanics, but it’s the second makes the point, as the second was specific to “Electricity” You do not have to understand the language of electricity and its equations to use a TV set, all you need to know is where the plug point is. We have seen some fundamental aspects of S-World UCS, however to fully appreciate its capacity to improve the network and to make the creation of Special Projects a reality not just a hypothesis, we need to know a little more about quantum mechanics care of Garret Lisi, recent creator of the acclaimed E8 248 dimension “Theory of Everything,” from the opening section to his 2008 TED lecture. Actually, for the next 18 minutes I’m going to do the best I can to describe the beauty of particle physics without equations. Now, after abmolishg us for turning the temperature up to high, he would tell us that our question was completely stupid, these Corals can be kind of mean you see, I’ve surfing scars to prove that. But this polyp would continue and tell us quite clearly that his neighbors were identical copies of him, that he was in all these other locations as well but experiencing them as separate individuals. For a Coral branching into different copies is the most natural thing in the world, unlike us, a Coral would be uniquely prepared to understand Quantum Mechanics. The mathematics of Quantum Mechanics very accurately describes how our universe works and it tells us our reality is continually branching into different possibilities, just like a Coral, it’s a weird thing for us humans to wrap our minds around, since we only get to experience one possibility. This quantum weirdness was first described by Erwin Schrödinger and his cat. Schrödinger is in a box with a radioactive sample, that by the laws of Quantum Mechanics branches into a state that is radiated, and a state that is not. In the branch in which the sample radiates, it sets of a trigger that releases poison and Schrödinger is dead, but in the other branch of reality he remains alive, these realities are experienced separately by each individual, as far as either can tell the other does not exist. “Everything than can happen, does” that’s Quantum Mechanics. The proviso being a that for something to be genuine, to be science not theory, it must gain tangible results, and within the confines of the network as specified so far, the addition of creating a network simulation, copying it and sending it in time faster than our own, whereby business can be conducted in the future simulation, so mistakes could be avoided and triumphs perused, would give a significant boost to network efficiency and economics. At the same time, the further consideration of creating points in the future, mapping out what can be achieved, then working to those goals in an efficient manner, gets around the problem of trying to predict the future, as instead one programs the future, then looks to complete the program. 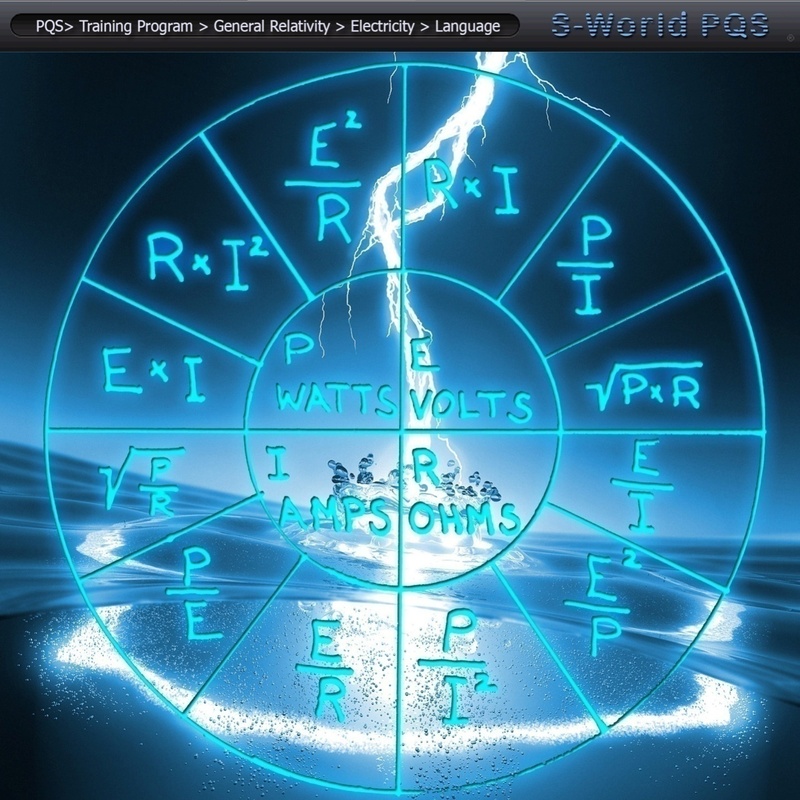 And so the S-World UCS Mantra was created, and for the first time, since the discovery of POP did an element of physics influence the programming of S-World and in so doing added significant strength. eventualities for actions you take today? What if you could use the information to assist today? What if you could do this from your phone, TV or laptop? The consideration for the above was to use S-World UCS as a gigantic quantum mechanics experiment, with us representing the coral and recreating a copy of the Network and sending it forwards in time. In a way, this always was the idea, as in all the games that Villas Mogul was influenced by and in general the basic game play revolved around doing things in the future. However, creating different specific timelines, such as sending one timeline into the future at twice our speed, and have other set a points in the future, could produce exceptional efficiency for the network, as after half a year the simulation, which is to be called “Voyager,” would offer excellent data on what to do and what not to do. We could create a simulation of the network in the future, which is a heaven on earth with everything as it should be, then reverse engineer it back to our timeline, and enact it. At this point (September 2012) in the creation of American Butterfly “The Theory of Every Business” I decided the influences from physics which had been stacking up, needed to be written as a separate book, as opposed to the intended single chapter. As it turned out, two books were written, “Spiritually Inspired Software” and “The Network on a String” largely telling the same story, with the first book, looking and explaining at the basic considerations and observation of the network as influenced by the idea of a greater power existing in the universe, and the other looking at the same development strictly in terms of physics. However as the following two books, largely look at the mid to long term picture, particularly in view of finance, and especially the POP principle Res and Angel Pop, which all contribute to the long term stability of the network after the initial investment has been made, to conclude this book, a conducing chapter of Mother Network 2018 profitability was necessary, written with the hindsight of books two, three and book four, which looks at the butterfly effect and Game Theory, in terms of creating an implementable short term investment strategy. This is not the end for S-World UCS as SUSY 16 sub-chapters 9 to 14 within The Network on a String revisit the topic in significant detail. Before moving to the concluding chapter, to return to UCS in the following book’s, there is one bonus side effect of S-World UCS, which needs to be presented, and that is in its power to organize logistics for both the physical and practical creation of networks and the organization of the businesses and staff who will be entangled with them. American Butterfly is a gigantic initiative, especially when considered globally, below we see the global network cube, seen in the mid 21st Century. 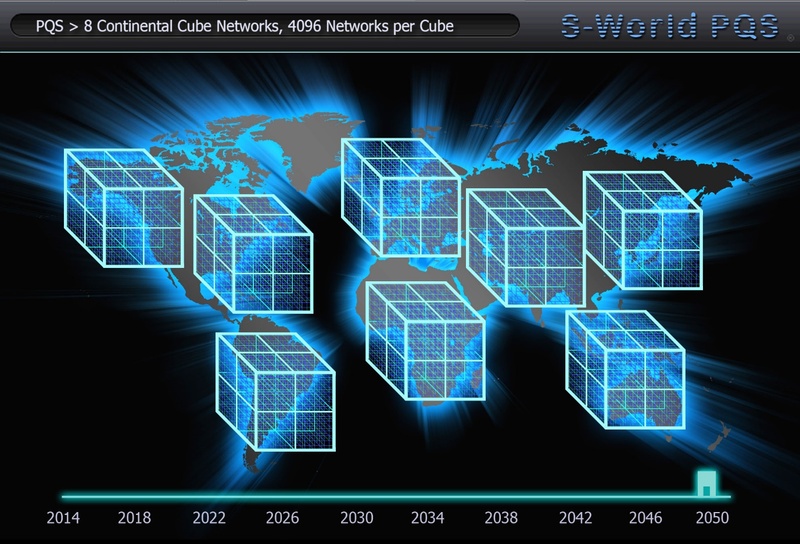 Each cube representing 4,096 networks creating a total of 32,768 networks, a figure that could double when satellite networks are included. Placing satellite networks a side, as each Mother network creates 15 Baby networks we divide 4,096 by 16 which gives us 256, which is the figure we have worked to thus far, remembering that the USA has two cubes and so actually creates 512 networks, but further remembering US mother networks are created in two phases, which is currently suggested to be two years apart. Within the close up of the Orland Network we find 16 relatively even lots at about 375 square miles each. If we look closer in, we see within a further 16 sub divisions leading to rectangle squares of about 24 square miles, half of which would be a good sized site for a resort network. As such, given a clean canvas there would be 500 plots of land available. Within which, one could expect between twenty and fifty potential sites, more if the desired rezoning of farmland directive is enacted, which in most cases will be a question for local authorities and residents. IMPORTANT NOTE: it needs to be pointed out that the network building plans by 2050 are below the current stated requirement/plans. This is pointed out, as some pay protest at building in any form, regardless of ecological awareness, the point being, the properties are going to be built by someone, butter that someone does it in an ecologically responsible way, which enact benefits in many areas from medical initiatives to global cooling. Considering we have between 20 and 50 potential sites for any mother network, and consider further that within the first phase Orland and Vero Beach would be twinned, now creating 40 to 100 genuine contenders for a Mother Network. The beauty of UCS is that it the general public can join S-World UCS, or use the Facebook app to walk into S-World VSN, within which, any user can select a site to build a mother network and virtually start building, using the SIM CITY rendering software. As long one has an internet connection, there is nothing to stop anyone from building a virtual network. The next step is to choose a network from all created so far, as an official contender, which will be done largely by public vote and some usage of e$. However, if a local council has made a concession on available land, such an organized gesture could well swing the vote. Within a few months after launch, a contender for each of the possible places will be set, at which point, the simulation changes and people now choose to join one network or another, and business start to pop up, some imaginary, but some real, creating genuine trading partners and utilizing the business software as it is at that point. At this point it’s not utterly essential for a business to pick the correct location, as when the field thins, the businesses will have a choice of network to move to. However, as enrolment in S-World gets more popular and there are more than the allowed 4,096 business bidding for 4,096 business sectors available, then some serious strategic thought as to which sector will likely be the Mother Network will be necessary, as only by being and trading in that network, is any company assured of inclusion in the first phase. Of the possible 20 to 100 sectors, not all will be viable, hi priced areas, with already crowded infrastructure, may not be cooperative, however, it’s probable that at least 16 plots are found in suitable positions where the planning permission has been either approved, or the county has indicated it will not block the development under the ecological and aesthetic conditions that apply to all networks. From 16, down to 8, down to 4, by which time, in most or even all states in the USA there is quite a frenzy over the last 4, which would all be granted future Network status. Long before it gets to choosing the first network, the development plans would have been approved and far more businesses that can actually be launched in a Mother network will have been using the systems, already trading and ready to invest. That’s how a logistical operation, far greater than any that has been performed to date, gets expedited within a year from the launch of S-World UCS, and if you’re wondering how long it will lake to create UCS, considering the foundation via S-Web are currently being developed, from the moment of substantial assistants from one of the big Tech companies, or The SIMS, we should have a working version in six to nine months.